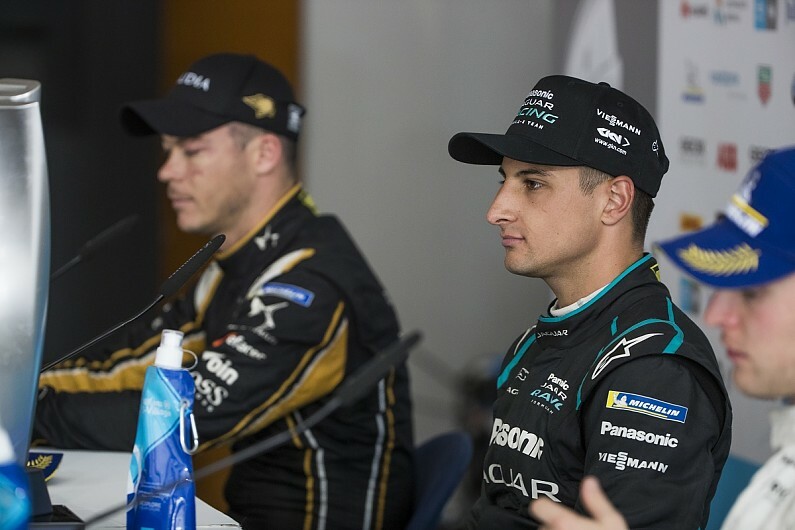 The ABB FIA Formula E attack mode battle between Mitch Evans and Andre Lotterer in Rome showcased the “best” the system can be, reckons DS Techeetah team boss Mark Preston. Unlike much of the rest of field, Evans and Lotterer did not take the attack mode immediately after the early safety car in last Saturday’s race, and took turns in using it respectively. Evans ultimately used his first slot in the 225kW mode to pull off the race-winning pass and went on to pick up Jaguar’s first FE win after rebuffing Lotterer’s own attack mode advantages, which were taken one after another before Evans was left to take his final boost in the closing laps. “It was probably the best it could be, by the fact that one driver took it and then attacked, and the other driver took it and then attacked, and that’s what they really want,” Preston told Autosport. “Of course if we just follow each other through the attack mode then it’s just match, match, match. Preston explained that Lotterer did not take the attack mode when the race restarted because “there was a few confusing things and information we were getting from race control”. “But in the end, it probably was better anyway, because we both copied each other [at that point],” he continued. Jaguar team boss James Barclay agreed with his counterpart’s assessment of the attack mode tactics in Rome. “What was really [good] was the attack mode playing out in terms of how that actually really makes us in the garage very nervous but for the championship and spectators it’s a really exciting race because it was literally a game of chess there,” he told Autosport. “Do you take it first? Do you take it second? We missed it, but Mitch kept his head and the team kept calm in that situation. “That is the jeopardy of attack mode and I think it played out very well for the championship. “If you look at the ding-dong battle that created with the two of them, that produced great racing. “Just by taking it, it’s not a free overtake, and you can take it at the wrong time. “So that’s what’s very exciting about attack mode. And Mark is absolutely right, it played out perfectly.